Tracy Trowbridge is a Sport Therapy and Remedial Massage Therapist, and comes to The Natural Wellbeing Centre once per month to provide her services. Tracy works to provide highly effective treatments to resolve ‘any’ muscular pain. You don’t need to be a sports enthusiast or even do sports to benefit from her massage. Tracy has spent many years working in an office and knows too well the problems that sitting at a desk or driving long hours can cause. Unlike some of the known incredibly painful sports massages, Tracy provides a relaxing yet effective massage, working to relieve tight muscles and allowing you time to relax. Bringing benefit deeper and longer lasting. You might need treatments to recover from an injury, or from your day to day body use, or just fancy a much deeper ‘fix-it’ type of massage. Tracy offers clients an on-going service in the form of rehabilitative exercise advice and aftercare treatments. Her knowledge of anatomy and physiology continues to grow, as she makes sure to stay up to date with current techniques and treatments. Tracy comes with an abundance of interests and sporting knowledge. Always keen to help get your body working as you would like it to, being free from pain and maintaining strength and flexibility. 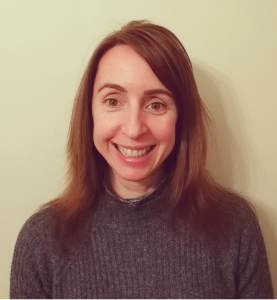 As an experienced Yoga practitioner, Tracy has learnt to move and treat the body in a way that honours it, and she will undertake a yoga teacher training course this year. With interest in completing further studies in Acupuncture and Kinesiology – Tracy is full of passion and is surely going to work to get you back to the best level of health you could imagine. We are delighted to be able to have Tracy come to work from the Natural Wellbeing Clinic. 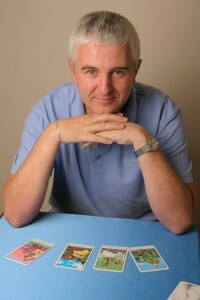 Tim has been a professional Tarot Reader since 1996 and is also a licensed NLP practitioner, Reiki Master and a member of the Tarot Association of the British Isles (TABI) and a founder member of Tarot Professionals. By popular request, Tim makes regular visits to The Natural Wellbeing Centre where he provides private 12-month, in-detail readings, plus readings for any specific questions or areas that people would like to focus on. Readings are recorded on CD. Please call or email for details of Tim’s next visit.